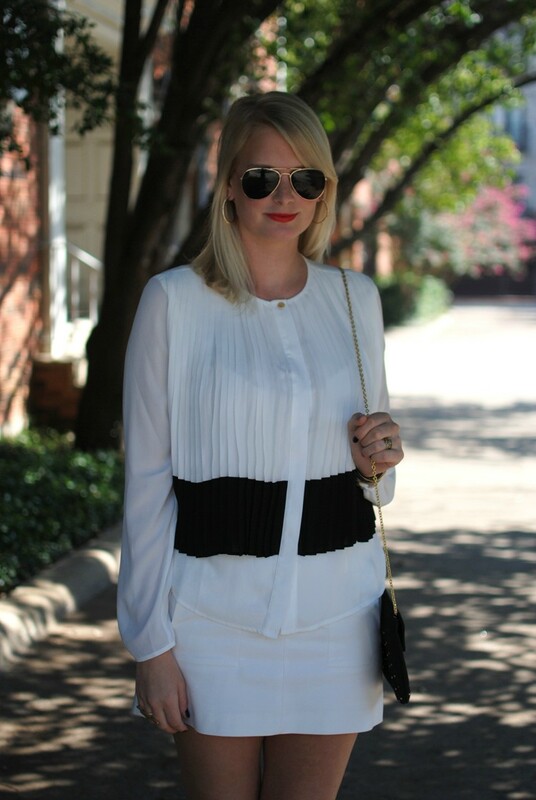 With the last few weeks of summer winding down, I decided on a white-on-white outfit for this post. An ultra-modern and chic look for summer, add some edge with a spicy pair of leopard heels and great jewelry. I plan to wear this new ASOS blouse (only $60 – I mean, come on) into fall with black leather pants and skirts with tights. Such a pretty, flowy piece for the office and out!